1982 – Rimaster is founded. Focus on mechanical products. 1990s – Electronics becomes a core activity, Ericsson a major customer. 2000s, early – Telecoms crisis. Rimaster shifts focus to electrical systems for machinery and special vehicles. 2003 – Acquires 50% stake in Rimaster Poland, with the outstanding 50% acquired in 2005. 2007 – Acquires the business that today is known as Rimaster Cab & Mechanics. 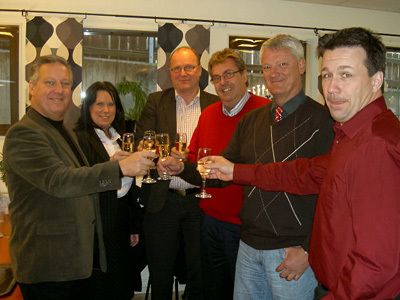 2008 – Acquires ElectroSystem in Söderhamn, today known as Rimaster Development. 2008 – The Chinese production company, Rimaster Ningbo, is established. 2010 – Rimaster Benelux, a sales office in Belgium, is established. 2014 – The French sales office, Rimaster France, begins operations. 2016 – The group opens a sales office in Germany, Rimaster Germany. Rimaster Poland and Rimaster Ningbo expand and move to bigger premises. 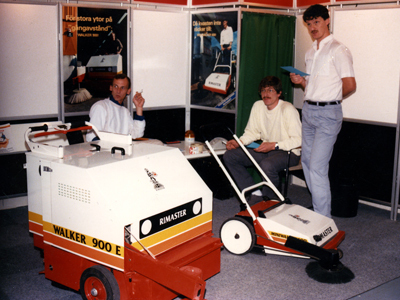 We have been serving our customers for more than 30 years! Rimaster is a privately owned company that was set up in 1982. To begin with, production focused on different types of mechanical products, from tool carts to cleaning machines, supplemented by manufacture to order for external customers. The company grew steadily and operations were widened to include production and assembly of electronics and electrical systems. By the early 1990s, this had become Rimaster’s core activity and the telecommunications company Ericsson was the company’s main customer. The global telecoms crisis in the early 2000s forced Ericsson to scale down its operations, which naturally also had an impact on subcontractors. Rimaster decided to focus on developing and producing electrical systems for, above all, different types of machinery and special vehicles. “Special Vehicles” remains one of the company’s focus areas. Over time, Rimaster has benefited from long-term expansion, primarily through stable sales performance but also through strategic acquisitions. Major acquisitions include Rimaster starting production in Poland in 2003, the acquisition of the ElectroSystem group in Söderhamn in 2008 and the launch of operations in China, also in 2008. The company acquired what is today known as Rimaster Cab & Mechanics as long ago as 2007, setting the company on the path towards becoming a nearly complete supplier of products and services. In fall 2010, the company continued to expand by opening a sales and service office in Belgium for the Benelux market. In spring 2014, the company opened an office in France in order to facilitate continued expansion in western Europe and to consolidate Rimaster’s position as a global company with a local presence. In 2013, Rimaster took another step up the value chain when it launched its first two self-developed products. riFuse is a new, revolutionary, digital electrical systems control center intended primarily for advanced special machinery, while riCab is a flexible, modular standard cab for e.g. agricultural machinery. In 2016, the company widened its sales channels further through the opening of a sales office in Germany, and in both Poland and China, Rimaster moved into bigger premises to meet increased demand.